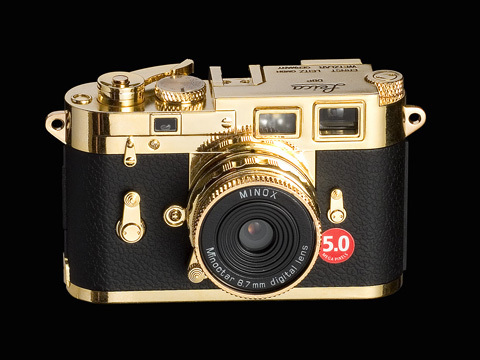 Minox is set to release a gold coloured miniature digital version of its classic M3 camera. The retro-style 5-million-pixel model ? currently out in standard silver only ? will sport a 1.5in colour monitor and is compatible with SD memory cards. Shown at Photokina, the Minox DCC Leica M3 features 32MB of on-board memory and will come in a ?satin-line wooden box?. The kit, out in early November, costs £319.